In order to feel festive I'm having festive weekends. I'd decided to do a festive tag type thing I've written the questions myself and to keep the festivities alive I've decided to split them up over the next few weekends. One of the questions will repeat each week. (How much Christmas Shopping have you done?) I'm not one of those organised people so I will need the weekly updates. 2) What was your best Christmas? I think it has to be Christmas 1995 when we went to Australia. I need to try and dig out some of the photo's. We went for three weeks and stayed in Sydney for three weeks. It was amazing. We did a lot of museums, we went to Bondi Beach but preferred it at Manley beach. Ate Mcdonalds Passion Fruit sundae's. On CChristmasDay we went to the Zoo and had hot dogs for Breakfast. We also went up into the Blue Mountains to see my mums uncle who lived there at the time. We went to one of their friends house for a BBQ and there was vegimite on the kitchen counter. All the men in the back yard drinking tinnies, the women in the kitchen putting the worlds to rights (not cooking sat round a big table - the men did the cooking this was after all a BBQ) The kids in the front garden playing cricket. It was magical. It makes me want to go back. 3)When do you put your tree up? 4) When do you exchange presents? On Christmas morning. My mum is like a big kid. I think she'd explode if you made her wait till later in the day. 5) Do you have an Advent Calendar this year? I've only got 4! That's not excessive at all is it?!!? I know it is. I've taken part in a #PSBloggers advent calendar which is really lovely as I write this I've opened two of them and I love them both. By the time this goes up I should have done a post on the first 5 gifts. But check out my instagram as i'm posting daily pictures. 6) Are you taking part in Secret Santa? Yes I'm taking part in 2 and a beauty box swap. The work one has a budget of £10 and I'm pretty much sorted out. Just got one more thing to buy. I'm taking part in a NW Bloggers secret santa. That has a buget of £5 That is bought wrapped and ready to post. I didn't know of my swap partner before drawing her name but I got the chance to meet her last weekend and she is really lovely. 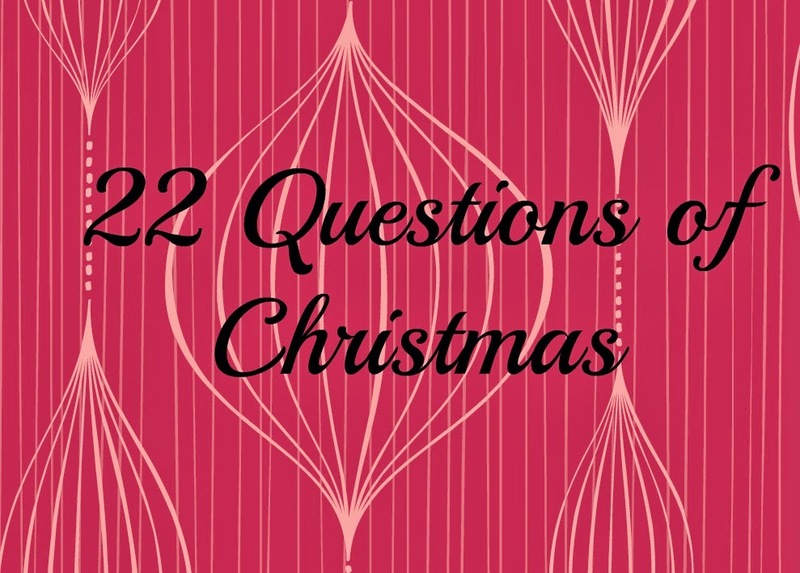 7) How much Christmas shopping have you done? Very little! I have got a few bits. I haven't really made a list of what to buy people as yet. If you come back next Sunday for the next set of questions. If you fancy joining in please do. feel free to copy the questions and logo. Please link back to me and leave me a comment down below so I can come and check out your answers. I will try and come back and add in a photo or two.